What Is The Problem? 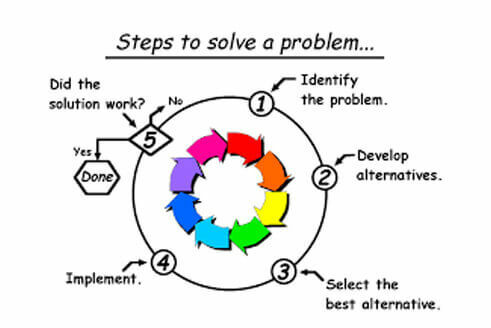 How Wrong Representation of Problem Can Hamper Your Improvement Journey. Nital Zaveri, CEO & Director, Concept Business Excellence Pvt. Ltd. When we went there, production head said its 100% on time, so we don’t have any issue with that business metric. We asked: How do you measure it? We measure committed delivery date to customer and actual delivery date of the machine, replied the Production Head. In our subsequent meeting with the Managing Director we asked: What the major strategic challenge your organization is facing? He replied it’s our DELIVERY PERFORMANCE. We were shocked because just before an hour production head told us that it’s 100% and is not a problem. New Managing Director further explained; see our sales / marketing personnel commit 6 to 7 weeks delivery to our customers (that’s our current lead time to manufacture). But our competitors are able to deliver the machine in 3 to 4 weeks. Because we are in capital goods manufacturing business, many times we lose orders because we cannot commit delivery in 3 to 4 weeks. When we did analysis of lost order for past one year in marketing department, the value of orders lost because the company was not able to commit 3 to 4 weeks was $ 10 billion, more than the current annual sales. This was an important revelation of information for Production Head because all production staff believed that “On Time Delivery” was the strength, was actually was major weakness of the company. This was purely because of the way it was measured till years. Delivery performance was measured as % compliance to delivery against committed date. Key indicator for this organization should be Lead Time to manufacture and not On Time Delivery. This clearly shows how wrong measurement of metric can lead you to overlook major opportunity for improvement. In other incident, a client’s Quality Manager was showing month on month reduction in In-House rework from 5000 ppm to less than 100 ppm. We found that still there were many customer complains. Inside information from competitor revealed that their In-House rework was higher than the client, but still customers were preferring competitor’s product. Then what is wrong? We investigated further and asked some of the relevant questions to the Quality Manager of our client. When was the last time you changed your Inspection Plan? The answer was 7 years back when we were going for ISO 9001, we had created this inspection plan. In last 7 years your quality acceptance criteria has not changed, but customer’s expectations have changed drastically. Now we knew the answer, competitor might be updating his inspection plan over period of time and hence raising quality bar for manufacturing people. Where as in our client’s case quality bar was low and everything manufactured was accepted from manufacturer’s perspective and was not acceptable from customer’s perceptive. The key point here is that In-House quality acceptance criteria shall be always higher than your average customer’s expectations. This must be reviewed periodically to identify any gap. Many times organizations copy key metrics to from other organizations and paste in to their systems. But this can drastically hide major problems within the organization. Also there is strong need to review key metrics over period of time and revise the metrics. Clarity is required on why this metric is important, how it wil be will be measured and presented.